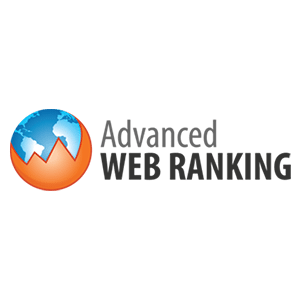 Advanced Web Ranking is an SEO rank tracking tool for small to mid-sized businesses. It offers services and features that include SEO analytics, link building, white label reports, and search localization. In this article, we covered user reviews and pricing. Ready to try Advanced Web Ranking? Get a free trial. As of the date this article was written [10/08/18], there are not a lot of positive Advanced Web Ranking user reviews online. However, some users said that they appreciate its affordable pricing plans and its ability to perform keyword tracking on both desktop and mobile. As of the date this article was written [10/08/18], there are not a lot of negative Advanced Web Ranking user reviews online. However, some users mentioned that the software is limited in certain areas, such as in its results filtering feature and real-time search results. A user who left a negative review on Capterra cited an instance when he had to wait for 24 hours before receiving his keyword research results. He also said that the interface is difficult to navigate. Advanced Web Ranking offers four plans: Starter ($49/month), Pro ($99/month), Agency ($199/month), and Enterprise ($499/month). The main differences between the plans include the number of keywords, as well as access to premium features such as data migration and a dedicated account manager. Ready to try out Advanced Web Ranking? Get a free trial. Best SEO Software For Small Businesses — In this guide, our expert writers compared Web CEO, WooRank, and Rank Ranger to give you an idea on which SEO software would suit your needs in terms of features, pricing, and ease of use. Does Advanced Web Ranking offer plans with more than 35,500 keyword search capacity? Yes. Users who need more than 35,500 keyword search allocation can contact their sales team to inquire about customized pricing. Is Advanced Web Ranking available as a browser extension? Yes. 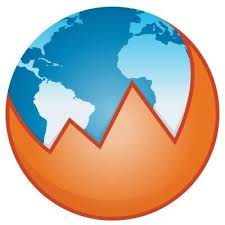 Advanced Web Ranking has an AWRStudyr functionality that can work as an extension for both Google Chrome and Mozilla Firefox. Not sure if Advanced Web Ranking is the right fit for you? Read our reviews of top SEO software or check out one of these three Advanced Web Ranking alternatives. Disclaimer: The following information was provided by Advanced Web Ranking and does not necessarily reflect the views of FitSmallBusiness.com. What is Advanced Web Ranking? With more than a decade of experience in the market, Advanced Web Ranking is a robust rank tracking tool that aims to provide reliable ranking data that’s always fresh and accurate, for any location on the Planet, search engine or device. AWR helps you accurately track your performance in SERPs, find opportunities for driving more organic traffic and for outperforming your competitors, while reporting effectively your results to clients and stakeholders. AWR works best for digital agencies but it can accomodate both small and large businesses with equal ease, as it also comes with diverse and cost-effective subscription plans, suitable for any type of business. AWR has been continuously improving, transitionning from the initial AWR Desktop version, released back in 2002, to the current AWR online rank tracking service that was made available in 2013 and has been evolving ever since. AWR has entered 2019 with brand new data retrieval and processing mechanisms, built on modern technologies that grant our users speed and reliability in their daily interactions with the app. Moreover, we develop new features and improvements each month, based on our users’ feedback and industry trends. AWR comes with tehnical support for all plans, access to online product documentation, help videos and instructional blog articles. Free 30 day trial is also available on all plans, as well as a 30 day money back guarantee policy. Premium AWR users (Enterprise plans and higher) enjoy the assistance of a dedicated account manager. What makes Advanced Web Ranking stand out from the competition? I’ve been on AWR for a couple of years. I use it to monitor the rankings of my clients and personal projects. The platform does both local and national rankings. It also integrates with Google Analytics and Search Console, which is helpful. It is easy to generate nice looking keyword ranking reports for clients. It could be better for local results. I wish it would show map pack rankings beyond the 3 spot snack pack on the first page. Also, keywords add up. I spend more than I’d like to on the service, but to be fair the price is very competitive. I’ve been happy with the team and their support. It has great tools and the interface is really second to none in my experience. The price point is also one of the cheapest you’ll find for what you get. There were some additional tools we needed and while AWR had many of them, they did not have all of them. We had to get a more comprehensive solution (which also costs quite a bit more). That is the reason we are former and not current users. However, I would recommend this to anyone early on in their SEO journey. They are not US-based, so that can delay customer service responses slightly. Advanced Web Ranking offers an inexpensive way for businesses with a limited budget to monitor how their site is performing in organic search. The tool has been around a while, so I would consider the desktop version a very mature product at this point. I haven’t tried the newer Cloud version. I can only speak to the desktop version which I found limiting in one way – its ability to produce dashboards in web page format. It can do this, but it outputs HTML files to your hard drive or a server, rather than making them available online which can make it difficult to share with others, depending on your situation. For this reason, I began using another tool alongside AWR. The cloud version presumably does not have the same limitation, but I believe it is more expensive. I think the support team is based in continental Europe and operates local business hours, which might not be ideal for others in different time zones such as the USA. But I personally have not needed to contact them very often as the product is generally stable and I’ve usually only contacted them for advice about using the tool. They are not providing accurate ranking result. I am not satisfied. The most accurate rank tracking tool out of there of all the tools I’ve tried. If you’re not going to build your own rank tracking tool, you should use Advanced Web Ranking/AWRCloud in my opinion.